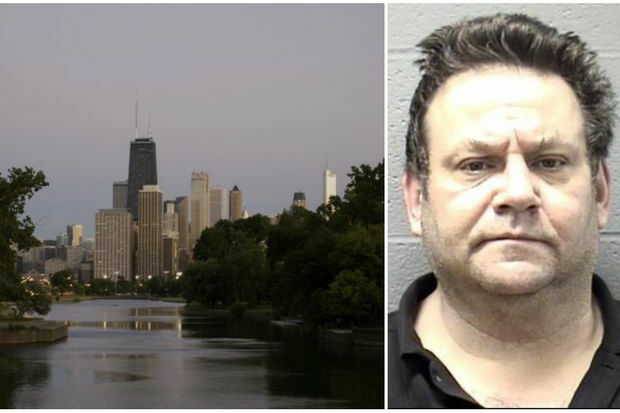 A dismembered body found Saturday in the Lincoln Park lagoon has led to murder charges against 55-year-old Brian Peck of Elgin. LINCOLN PARK — A woman's dismembered body found Saturday in the Lincoln Park lagoon has led to murder charges against her 55-year-old son, who prosecutors say killed her when she told him to turn down a Jimi Hendrix song. The Elgin Police Department announced Tuesday that Brian Peck, of the 700 block of Littleton Trail, has been charged with murder in the death of his 76-year-old mother, Gail, whom he lived with. Police charged Brian Peck with first-degree murder with premeditation and great probability of death, and with concealing a homicide. He was held without bail after a hearing Tuesday at the Rolling Meadows courthouse. According to police, Peck reported his mother missing Friday afternoon, saying she had walked her dog and the dog had returned home without her. Elgin police began a search and an investigation, but were already doubting Peck's version of events — having obtained a search warrant for the Peck household — when a dismembered body was discovered Saturday in the Lincoln Park lagoon by a fisherman. The Daily Herald reported that prosecutors said at Tuesday's bond hearing Peck fought with his mother after she told him he was playing Hendrix too loud in the early morning. They said he knocked her out and dismembered her in a bathtub, dropping the body parts in duffel bags in Chicago's Montrose Harbor and the Lincoln Park lagoon. The Cook County Medical Examiner's Office reported Monday the body parts found in two duffel bags dragged from the lagoon included the torso and parts of two legs of a white woman. While unable to identify the body, the morgue said the torso had a surgical scar on its back. Elgin police, working with Chicago Police Department investigators, determined the body was Gail Peck's. "Evidence that the body was that of Gail Peck was obtained after thorough research by investigators," the department said in a news release, "and DNA testing is also currently being conducted to verify this evidence."